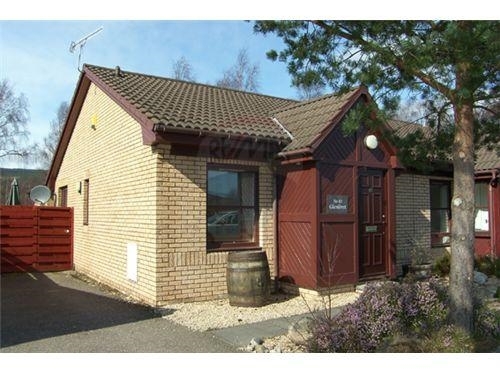 Aviemore Glenlivet Lodge is a comfortable and well-equipped 3-bedroomed, family-owned and run, self catering holiday home a 10 minute rural walk (or faster cycle) from Aviemore Village Centre. 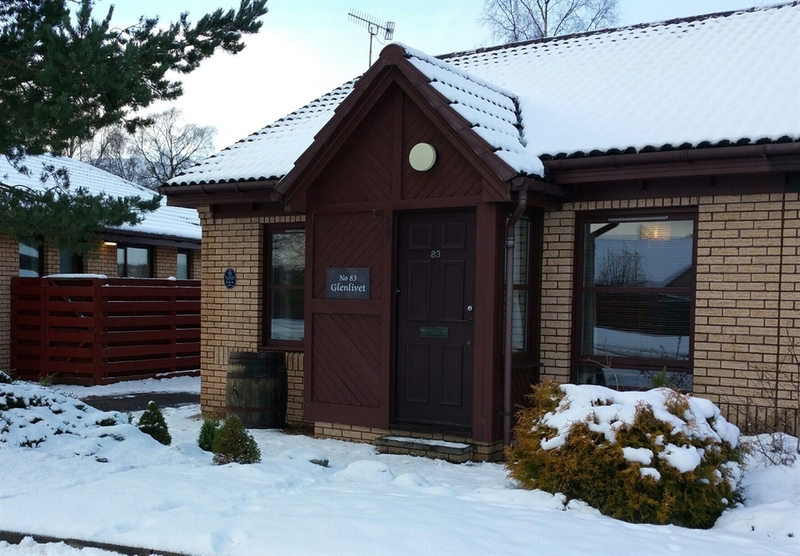 With 3 bedrooms including a large ensuite master, sunny and fully enclosed garden and lots of additional things (DVDs, Wii console, board games, books), it's a great place to stay and explore the wonderful Cairngorms. Aviemore Glenlivet Lodge is our highland holiday home in the heart of the Cairngorms. Aviemore is a great centre for all things outdoor and family. During the winter months there is everything Cairngorm Mountain has to offer. During the summer there is an abundance of outdoor activities. Our bungalow is all on one level. 2 small steps from outside. In the entrance vestibule there is a cupboard to store coats and shoes (please leave dirty shoes at the door!). The cupboard is also where we store Dyson and drying horse, iron and ironing board. From the entrance vestibule you enter the living room with dining area to the rear. The living room contains a sofa and 2 chair, the dining table can seat up to 8 when extended, but there are 6 chairs. A high chair is stored in the master bedroom cupboard. From the living room you enter a small hall with access to the 2 twin rooms (we call them the teal room and the purple room) and the shared bathroom which was recently renovated with fabulous tiles and light-up mirror. The bathroom has a full size bath and electric shower. The 2 bedrooms have 2 single beds with fresh bedding, wardrobe with hanging space and drawer units. The teal room looks out towards the mountains and has a small television for watching DVDs - no signal to watch TV. The purple room looks out to the side of the house/garden, has a small TV and PS2 player again to watch DVDs or play the small supply of games. From the living room you enter the good sized, extremely well equipped kitchen. It has washing machine, fridge & freezer, microwave, induction hob, double oven, Tassimo coffee machine, toaster, kettle etc. A good supply of crockery and cutlery including wine and champagne glasses. The freezer usually contains a bag of ice (for those essential gin n tonics!). You'll also find in the cupboards a slow cooker, hand blender, baking equipment . . . and more. From the kitchen you enter the sun room, a small seating area which is cosy in the winter and bright and airy in the summer. An excellent place to relax with a book, or for the kids to watch a DVD. From the sun room you enter the master suite with super king size bed (6' wide), dressing table, drawer unit and wardrobe. There's a cupboard with plenty of hanging space (and travel cot & high chair). The ensuite has a walk in shower with excellent water pressure. The large window in the bedroom looks onto the deck and woods beyond - not to mention the Strathspey Steam Train! Access to the garden is from the parking area as well as the sun room and through french doors in the master suite. The garden is fully enclosed by high fencing and next door's garage. There is a patio area and deck area that surrounds 2 sides of the house, facing south and west - so gets the best sun all day long (yes, Scotland does occasionally see the sun!). There is plenty of seating, BBQ, collapsible clothes airer (in the shed) and a garden shed that contains cushions for seats, a tumble dryer and hanging space for wet clothes, a boot warmer for drying wet ski/walking boots and BBQ utensils etc. There is parking for easily 2 cars at the side of the house. Please note the layout of the house means the master suite is accessed by going through the kitchen and sun room, so not close to the twin rooms - worth bearing in mind if you have little kids.